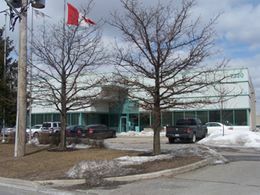 Prasad Plastics is a family owned and operated business, founded in 1979 by partners Nick Sampogna and Raman Prasad. Today, Mr. Sampogna’s family members are honoured to carry on a tradition of quality and service in the plastics industry. Proud to be a part of today’s generation of manufacturing sector, Prasad Plastics capabilities continue to evolve in order to meet the high demands for quality and precision we receive from our customers. Our philosophy is to provide our customers with the most cost-effective solutions through precision manufacturing and timely delivery. We seek to understand our customers’ needs and issues; we introduce our knowledge and experience of thermoplastic extrusions to address those needs; utilize our purchasing, manufacturing, quality and logistics resources to deliver for the customer.